Earlier this month, a lot of chatter went around about some sort of Google update, with the usual losses and gains being discussed. Many claimed this ot be part of the Google mobile roll out (this would be those who wouldn’t know an analytics chart from a horses backside of course), others claimed it to be panda, while Google themselves claimed there was no algorithm update. However, Google then within the last week or so told Search Engine Land’s Barry Schwartz that there WAS a reason behind the speculation, but that it was a CORE algorithm update, which is quite a biggie to go unnoticed. 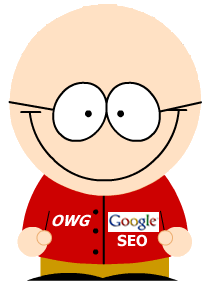 Google claim the change to the core algo were “how it (Google Algorithm) processes quality signals”. So think about that, it was essential a core change to how the Google Algorithm grades the quality of a site and/or its links. So this is the ‘quality update’ and if you want to know what Google thinks quality is about. then take a look here . That of course is the light version, as with over 250 ranking signals within the algorithm, it is a lot more complex. But as the saying goes, Rome wasn’t built in a day, get the foundations right as on page SEO becomes more and more important in the Google war on link spamming.